Topic: Kikue - Nara - ? Re: Kikue - Nara - ? Kikue - Nara - ? I'm not sure but i think her name is Kikuwaka. I think that the text below misedashi photo is her name and next in the brackets there's pronunciation. Re: Kikuwaka - Nara - ? Topic: Kikuno - Nara - ? "Her name is Ichiraku, 17 years old - new maiko from Pontocho"
Taneju in yellow, Toshiaya I think to the right. Topic: Hotaru - Atami, Shizuoka - ? Re: Hotaru - Atami, Shizuoka - ? Hotaru - Atami, Shizuoka - ? Topic: Noriye - Asakusa - ? Those are the Matsunoya Geisha. Some nice photos of geigi and hangyoku - notice the ears of rice for New Years! Several of the geigi also are wearing their own hair! 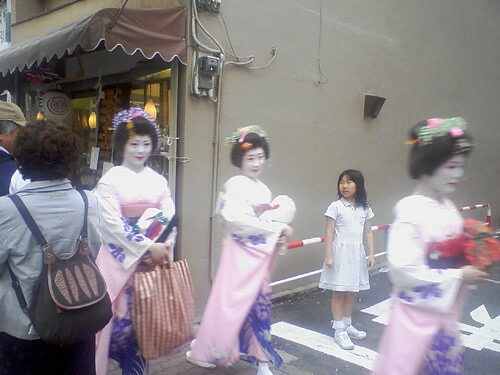 Hangyoku is similar to the Maiko in kyoto.In the Kanto area,called Hangyoku.It means young geisya. 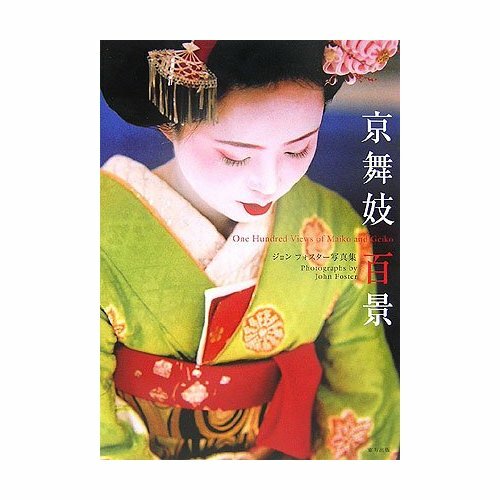 do you know anything about tokyo geisha and hangyoku stages? is it true that hangyoku period is only for 6 months? I found this on a website called baxleystamps. It is really interesting. They are all tokyo geisha...even some yoshiwara ladies in there, most are from shimbashi though. Some of the hanamachi ive never even heard of! Noriye - Asakusa - ? 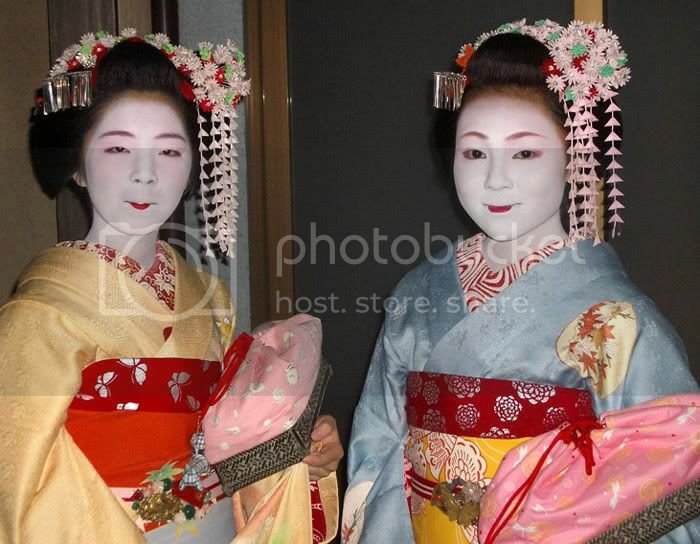 here are photos of the geisha Noriye! Topic: Do onsen geisha still exist? Re: Do onsen geisha still exist? Few years ago Dawn Porter did a Geisha Girl episode (part of "Extreme wives" series) and first she heads up to meet onsen geisha, so I would say they do exist. The episode I think is still foundable in youtube. Do onsen geisha still exist? Honestly, to me, it looks gross. I fail to understand the appeal, however its tradition and I respect it for such. Rats, the image didn't go through, will post from home! I've heard of the bone thing, and also in Geisha by Liza Dalby, she says that the blackened teeth are used to hide the natural tooth color, in contrast with the white skin, the teeth would look yellow, that it also why maiko are told to smile with their mouths closed. They actually have Kanaju's name wrong. 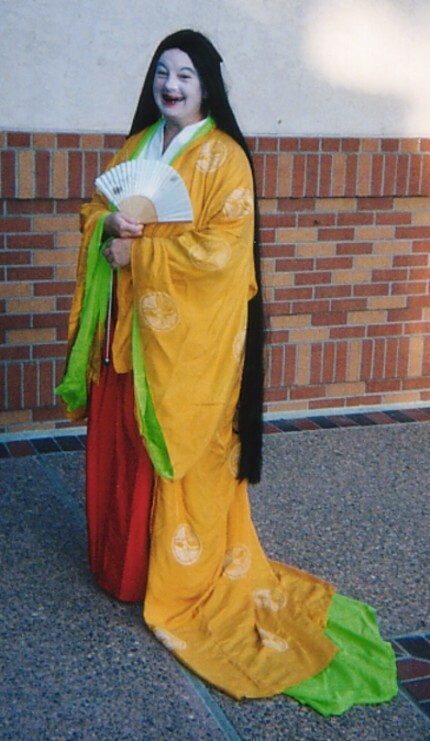 Her name was Kanoju and was a Geiko for many years. It was written 1964 and it shows. The bowling maiko on her socks is cute. "She will retire on this month, and she will get married to the son of Matsuyae-ochaya. So, she will turn young Okaasan of Matsuyae next month"